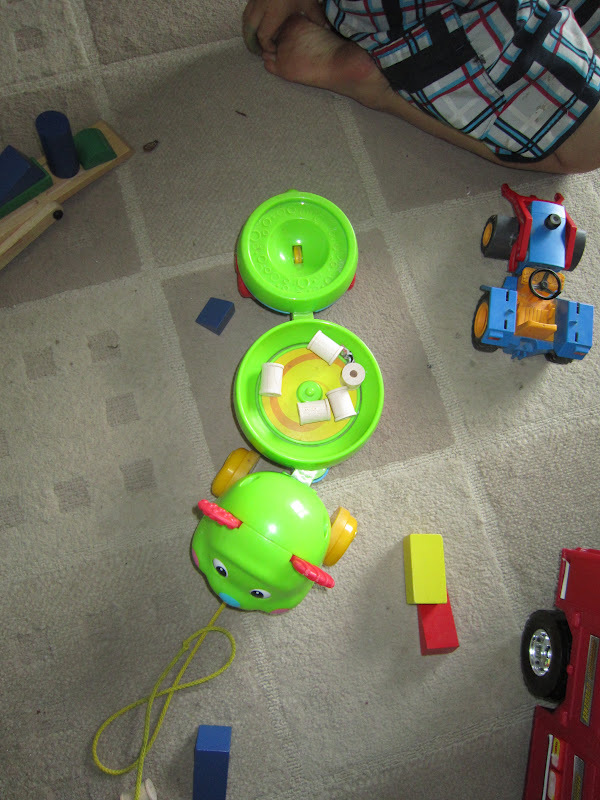 Raising Our Family: Cleaning with toys with boys! If your are anything like mine they love to dump things. After a little of playing in any room everything gets scattered. They often tell me it is part of their game. Mommy's flat bed ruck started down the road to deliver some important packages to the store. "Oh my look at all the different buckets that we emptied. Maybe we can sort them all into the right spots." 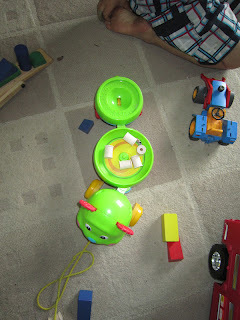 The boys had a fun time cleaning with me and using their toys to help. Some times it works so much better to work with where they are at rather than nag about cleaning. How do you get your kids to clean up? I don't get my child to clean up very much yet since he is only 15 months old. I have been trying to get him to at least pick up all the scattered toys and put them in a laundry basket for me. At least then I am not tripping over them. Sometimes it works, other times he just dumps the entire basket over and over. Just stopping by from the MOB society hop to say hello. I am a new follower.